Avoid the cliché of giving a box of chocolates or gimmicky bed of roses and give her what she really wants: a delicious custom cocktail made by you. Directions In a champagne flute, combine the vanilla rose simple syrup, amaretto, and gin. Stir well to mix. Tilt the glass to a forty-five degree angle and slowly add the cuvée. 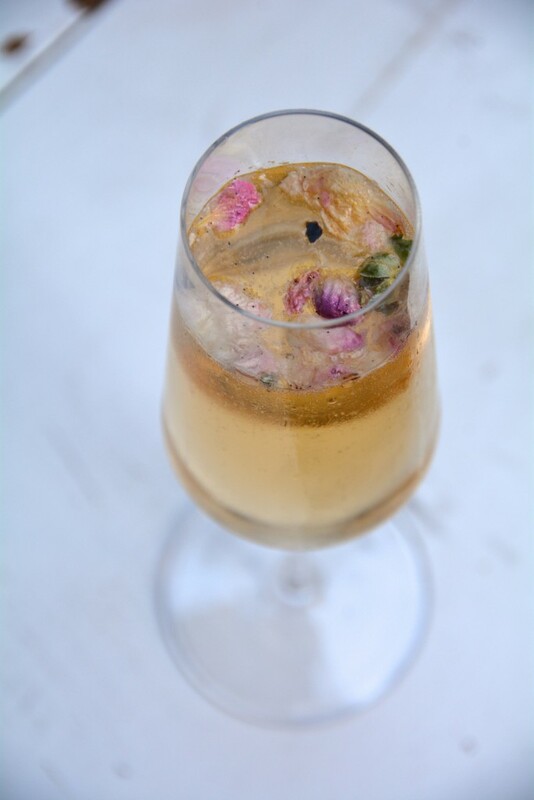 Garnish with edible rose petals and serve. Directions for Vanilla Rose Simple Syrup Recipe In a saucepan, combine the rose water, sugar, and vanilla bean and bring to a rolling boil. Reduce the heat to low and simmer for another fifteen minutes. Remove from the heat and allow to cool before using. Store in a sealable container and refrigerate for up to ten days. 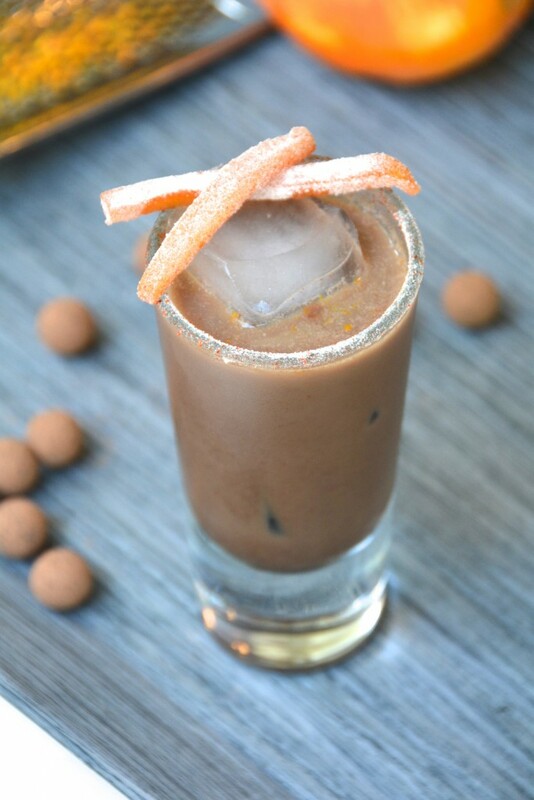 Directions In a martini shaker, combine the Patrón XO café dark, homemade coco, Mandarine Napoléon, Patrón silver tequila, cayenne pepper, and orange zest. Stir with a spoon to mix, then fill the shaker with ice. Shake a few seconds to chill and strain into a glass filled with ice or into a martini glass. Garnish with candied orange twists. Directions for Candied orange twist garnish Slice an orange in quarters and remove the peel from the fruit. Slice the peel into thin strips and combine with one cup water and one cup sugar in a sauce pan. Simmer on low heat for twenty to thirty minutes. Remove from the heat and strain out the orange twists (save the orange simple syrup if desired). Spread the orange twists out on a plate to slightly dry. After about thirty minutes, shake the orange twists in a bag filled with the sugar and cayenne pepper mix. Remove a twist from the bag, shake off the access mix, and use as a garnish.